The kidneys are two bean-shaped organs that perform important functions in our bodies. Each kidney acts as a filter, helping the body get rid of waste products and excess fluid. The kidneys balance your body’s electrolytes and acidity, help control blood pressure, and produce hormones. In this article, you will discover the major causes of kidney problems and the best foods and natural remedies to heal your kidneys. Your kidneys can become damaged in various ways. Kidney problems include kidney stones, acute kidney injury, chronic kidney disease, and end-stage renal failure. Chronic kidney disease is the gradual loss of kidney function. The two main causes of chronic kidney disease are diabetes and high blood pressure. It is important to monitor your kidney function through testing. Tests for low kidney function include BUN, creatinine, GFR, albumin, insulin, HgA1c, and urinalysis. High levels of sodium, potassium, chloride and phosphorus may also indicate kidney problems. 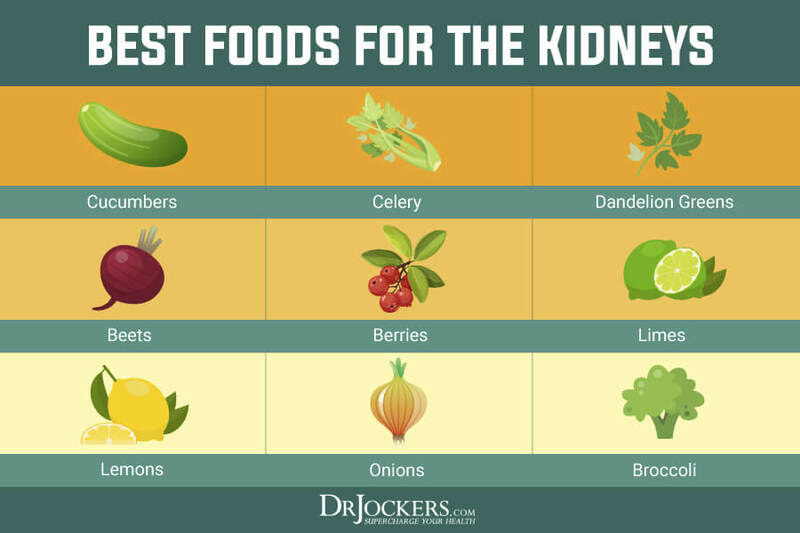 Fortunately, there are many natural remedies and foods that are beneficial for your kidneys. One of the most essential strategies is to follow an anti-inflammatory, healing diet using ketogenic guidelines. Foods that support the kidneys include cucumbers, celery, dandelion greens, beets, lemons, limes, and berries. Helpful herbs are parsley, cilantro, horsetail, burdock, stinging nettle, milk thistle, Gynostemma, and marshmallow root. It is important for kidney health to test your oxalate levels and take steps to reduce these levels if they are high. More natural healing strategies for the kidneys are gentle massage on your kidney reflex centers, supporting glutathione levels, and detoxing the kidneys with targeted supplementation. Most healthy people have two kidneys which are the size of a fist and located on each side of the spine at the bottom of the ribcage. The kidneys filter and return to the bloodstream about 120-150 quarts of blood every 24 hours (1). Each kidney contains up to a million nephrons. Nephrons consist of a glomerulus attached to a tubule. The glomerulus has glomeruli, tiny blood vessels that filter the blood. The remaining fluid passes along the tubule where chemicals and waste are added or removed according to the body’s needs. The final product is urine that the body excretes. The primary role of the kidneys is to aid detoxification by filtering and removing waste products, drugs, and toxins. They regulate blood pressure and your body’s salt, potassium and acid content. The kidneys also regulate the body’s water balance by releasing excess fluid. They produce the hormones erythropoietin, which produces red blood cells, and calcitriol, the active form of vitamin D (2). 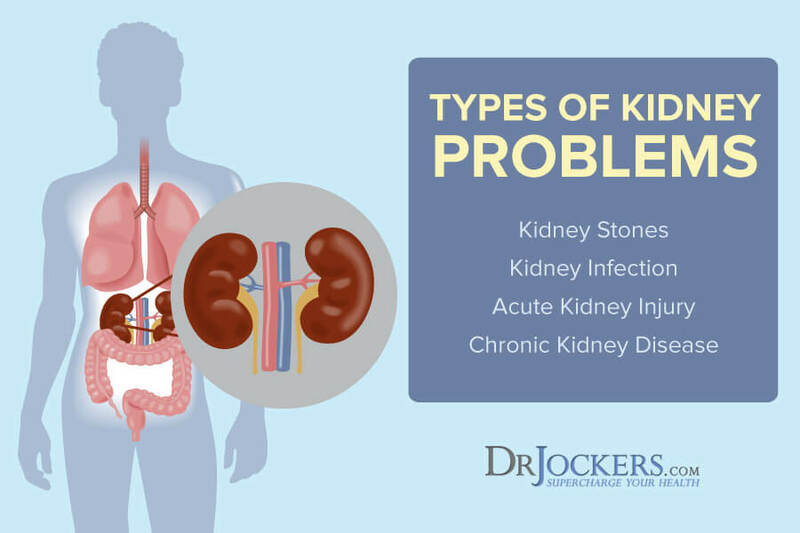 There are different types of kidney problems that people may experience. Most people have heard of kidney stones and how painful they can be. Other types of kidney problems include acute kidney injury, chronic kidney disease, and kidney failure or end stage renal disease. Kidney stones, also known as nephrolithiasis, are solid, pebble-like masses that can form in one or both of your kidneys. They occur when high levels of certain minerals, such as calcium, oxalates, and uric acid are in your urine. Symptoms of kidney stones include blood in your urine and sharp, severe pain in your back, side, lower abdomen, or groin. 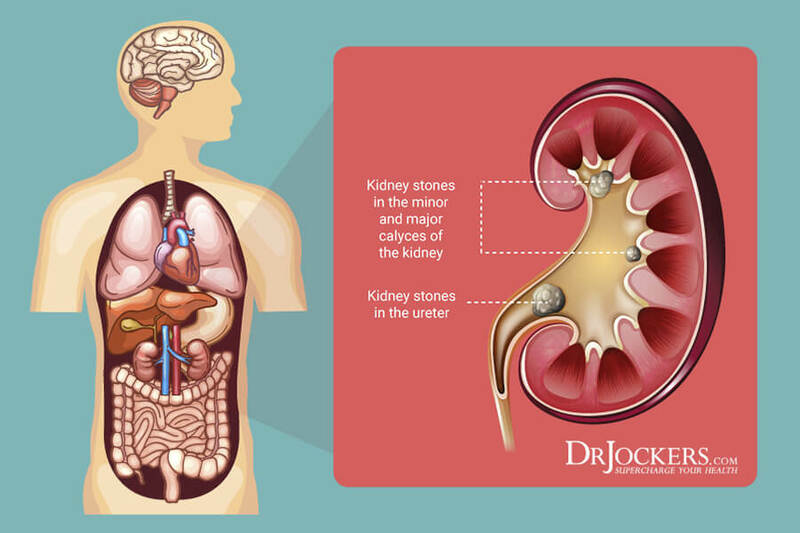 If kidney stones are small, they may pass through your urinary tract with no problems. Larger stones can cause blockages and cause severe pain. In some cases, kidney stones must be surgically removed. For more information about kidney stones including ways to prevent kidney stones, read this article. Acute kidney injury or acute renal kidney failure are terms used to describe a sudden failure of a person’s kidneys to function normally. 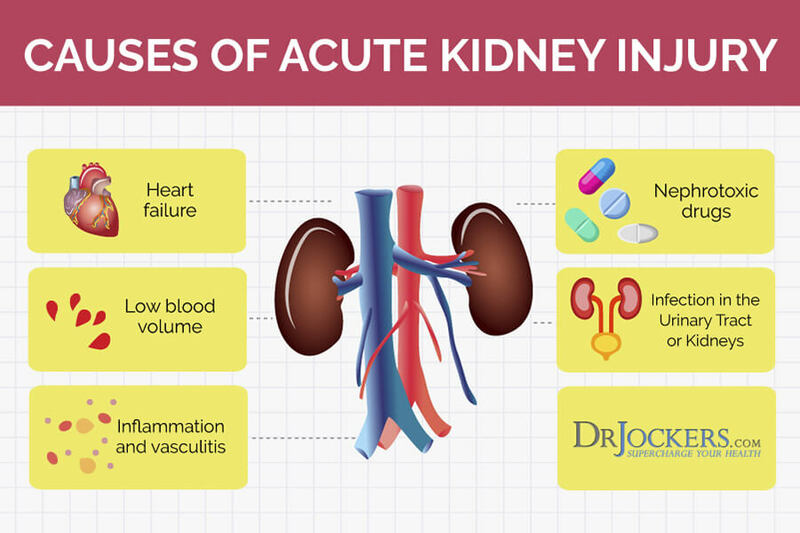 Common causes of acute kidney injury include a heart attack, illegal drug use or drug abuse, kidney infections, low blood flow to the kidneys and urinary tract problems. This type of kidney issue is not always permanent and your kidneys may begin functioning normally again. Following the strategies listed later in this article will be key to healing and optimizing kidney function throughout the rest of your life. Chronic kidney disease (CKD), also referred to as chronic kidney failure, is the gradual loss of kidney function. CKD affects at least 10-16% of adults around the world. 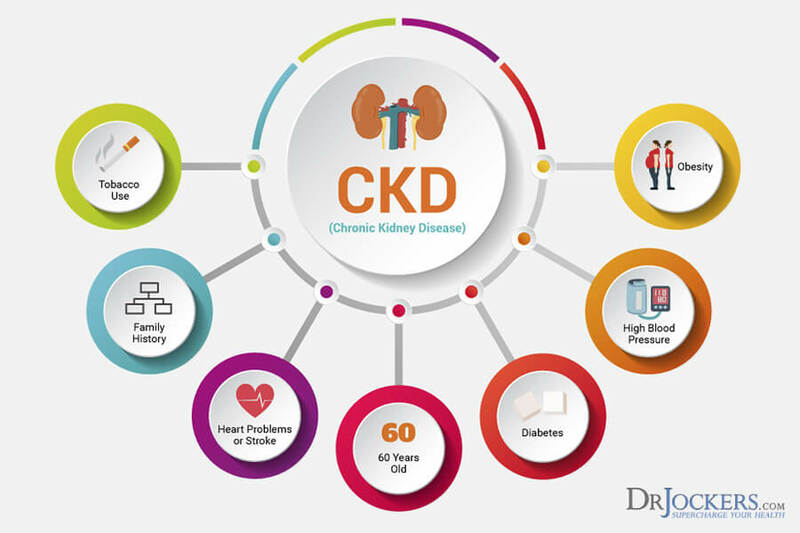 When CKD reaches an advanced stage, dangerous levels of fluid, electrolytes, and wastes can build up in the body. 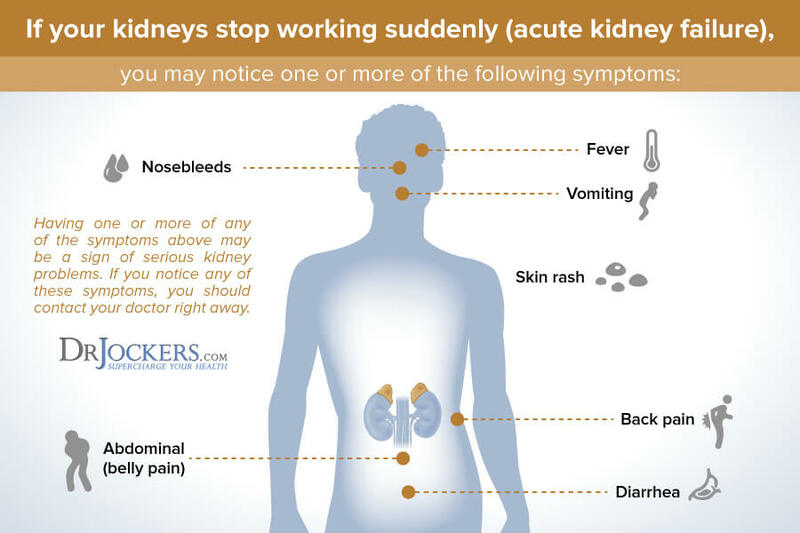 Nephrotic syndrome is a group of symptoms showing your kidneys are not working as well as they should. These symptoms are too much or too little protein in your urine, high cholesterol, high triglycerides, and swelling in your legs, feet and ankles. When your kidneys stop working well enough to keep you alive, you have kidney failure. Kidney failure, also called end-stage renal disease (ESRD), is the last stage of chronic kidney disease. A person with end-stage kidney failure must have artificial filtering with dialysis or a kidney transplant to survive. ESRD is associated with high morality, high morbidity, and disability (3). African Americans are five times more likely to progress to end stage kidney disease than non-Hispanic Whites. Chronic kidney disease is usually caused by other health problems that have damaged your kidneys over time. When your kidneys are damaged, they may not function as well as they should. If the damage to your kidneys continues to worsen and your kidneys are less able to function, you have chronic kidney disease. The leading cause of chronic kidney disease and ESRD is diabetes mellitus. Additional common causes of kidney disease are high blood pressure, obesity, and dyslipidemia (3). Autoimmune diseases and genetic diseases (such as polycystic kidney disease) can cause chronic kidney disease. 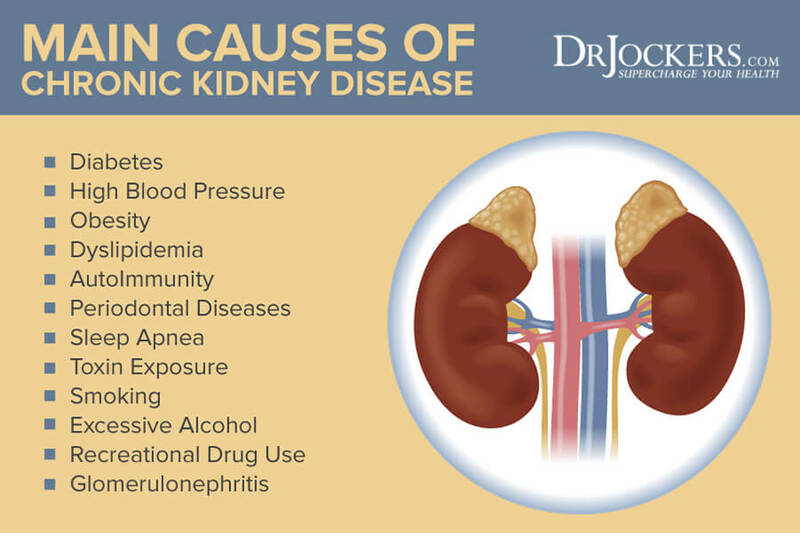 Periodontal diseases and obstructive sleep apnea are also risk factors for chronic kidney disease. Exposure to toxins can impair kidney function. The kidneys are the primary defenders against harmful external toxins entering the bloodstream. The constant exposure of the kidneys to toxins can cause nephrotoxicity (toxicity in the kidneys) which affects renal function. Smoking, alcohol and recreational drugs are nephrotoxins and have been linked to the progression of chronic kidney disease. Another condition that can damage your kidneys is glomerulonephritis. Glomerulonephritis is inflammation of the glomeruli, the tiny filters in your kidneys. Glomeruli remove excess fluid, electrolytes, and waste from your bloodstream and pass them into your urine. Severe or prolonged inflammation from glomerulonephritis can damage your kidneys. Blood urea nitrogen (BUN) and Carbon Dioxide (CO2) constitute the final product of protein metabolism. BUN is the nitrogen portion of urea. BUN is made by the liver and cleared by the kidneys. If BUN is elevated, it can indicate kidney problems. The optimal range is 13-18 mg/dL. Creatinine is a result of energy metabolism and is a byproduct of muscle creatinine phosphate. It is removed by the kidneys at a constant rate depending upon the muscle mass of the individual. A kidney problem will decrease the amount excreted and increase the blood creatinine. The optimal ranges for creatinine are 0.85 -1.10 mg/dL for men and 0.65-0.90 mg/dL for women. Glomerular filtration rate (GFR) is used to check how well the kidneys are functioning. GFR is a measure of how well your kidneys filter blood. Optimal GFR is over 90. If your GFR is less than 60 for three months or more, this indicates poor kidney function. If your GFR is below 15 this can indicate kidney failure. Albumin is a protein found in the blood. Made in the liver, it retains elements like calcium, sodium and potassium, certain hormones (steroids and thyroid hormones) and certain drugs in circulation by binding to them to prevent their filtration by the kidneys. Albumin acts to regulate the movement of water between tissues and the bloodstream by attracting water to areas with higher concentrations of salts or proteins. A healthy kidney will not let albumin pass into the urine. The less albumin in your urine, the better. The optimal range is 4.0-5.0 g/dL. A urine albumin above 30 may indicate kidney disease. Sodium maintains osmotic pressure and acid-base balance as well as transmitting nerve impulses. High sodium can indicate kidney problems. The optimal range is for sodium is 137-143 mmol/L. Chloride is a key blood electrolyte and an important component in the development of stomach acid (HCL). High or low levels can also indicate kidney problems. The optimal range is for chloride is 100-106 nmol/L. Phosphorus is involved with bone growth and acid base balance. 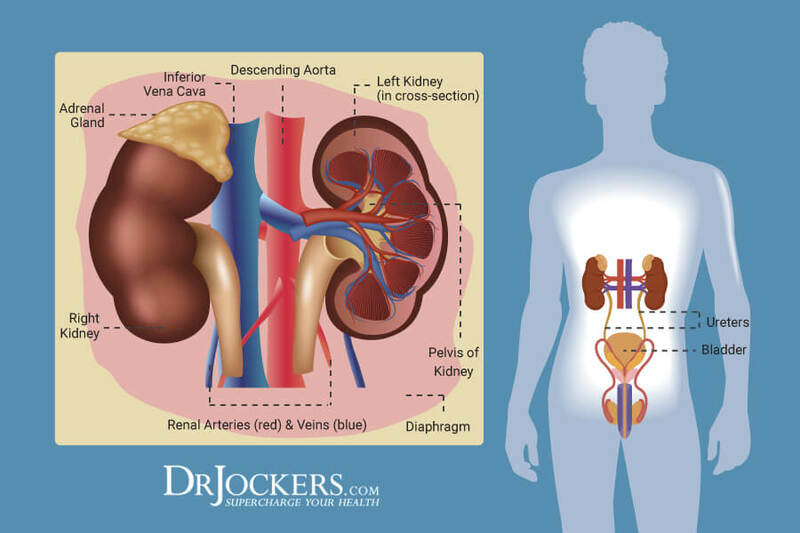 These levels can be increased in people with kidney dysfunction. The optimal range is 3.5 – 4.0 mg/dL. The fasting insulin level test is a valuable test for detecting kidney problems. Insulin is a hormone that is produced and stored in the pancreas. Insulin helps transport glucose from the blood to cells. When the body recognizes that blood sugar is elevating, the pancreas releases insulin. Insulin resistance is the decreased ability to respond to the effects of insulin. As a result, the body produces additional amounts of insulin which increases inflammatory processes within the body. Over time, surges of insulin can cause chronic health complications. Health conditions associated with insulin resistance include type 2 diabetes, cardiovascular disease, obesity, and high blood pressure. These conditions are linked to chronic kidney disease. The optimal range for fasting insulin is 1.0-5.0 uIu/ml. Hemoglobin A1C (HbA1c) gives the average amount of glucose in the blood, or blood sugar, over the past 8-12 weeks. HbA1c (or glycated hemoglobin) is formed in the blood when glucose attaches to hemoglobin, the protein in red blood cells that carries oxygen. The higher the level of glucose in the blood, the more glycated hemoglobin is formed. Chronically elevated glucose levels as reflected by a high HbA1c cause free radical damage and can damage a person’s organs, including the kidneys. HbA1c is reported as a percentage. The higher the percentage, the higher a person’s blood glucose levels have been. The optimal range fir HbA1c is 4.6-5.2. A urinalysis can indicate kidney problems if there is protein in your urine. An excess amount of protein in your urine may indication that your kidney’s filtering units are damaged. A urinalysis also tests for white blood cells in the urine which can indicate possible infection. These infections can spread to the kidneys. The abnormal presence of red blood cells (RBCs) in the urine means that your kidneys or another component or the urinary tract are permitting blood cells to seep into the urine. RBCs in the urine may indicate kidney infections, kidney disease, kidney stones, or kidney injury. There are many natural strategies for healing your kidneys. An anti-inflammatory diet and lifestyle is critical. 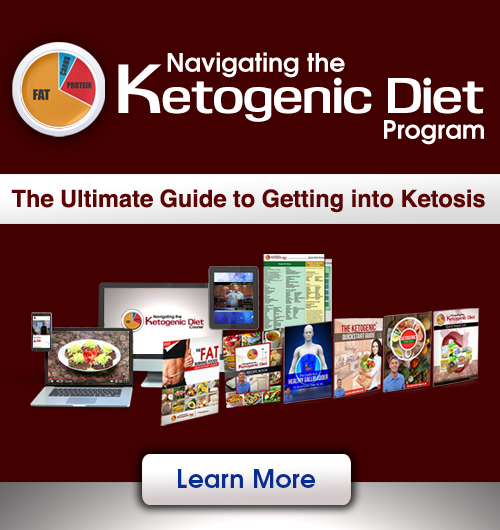 Following ketogenic guidelines can be very helpful. 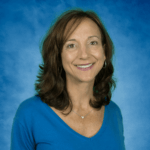 Other strategies are consuming foods and herbs that support kidney health, intermittent fasting, hydration, gently massaging kidney reflex centers, supporting glutathione levels, and detoxing the kidneys with targeted supplementation. It is also important to test your oxalate levels and take steps to reduce these levels if they are high. One of the best strategies for healthy kidneys is to consume an anti-inflammatory diet. For low kidney function, the ketogenic diet and lifestyle can be particularly helpful. 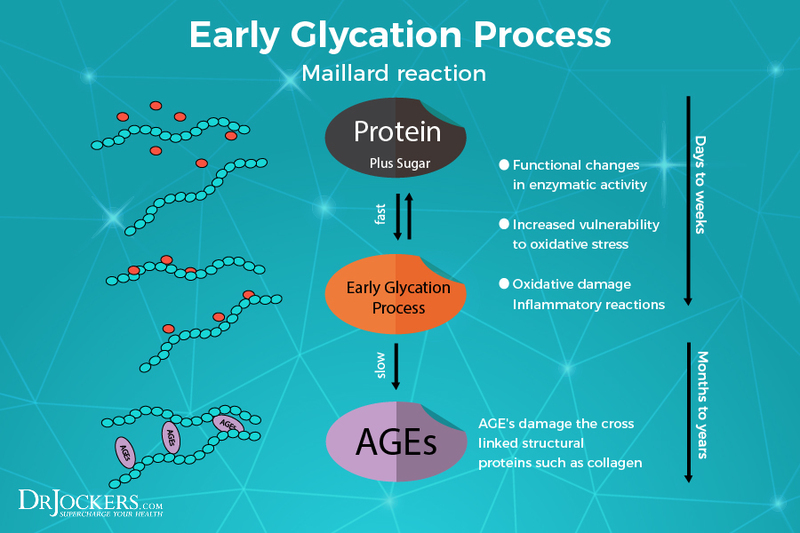 Chronically elevated blood sugar reacts with enzymes and other protein molecules to create advanced glycation end-products (AGEs). The kidneys play an important role in clearance and metabolism of AGEs (4). With decline in kidney function, AGEs can accumulate in the cells and the bloodstream. AGEs are highly inflammatory and can damage tissues throughout the body. AGEs can clog the small blood vessels throughout the body, including in the kidneys. 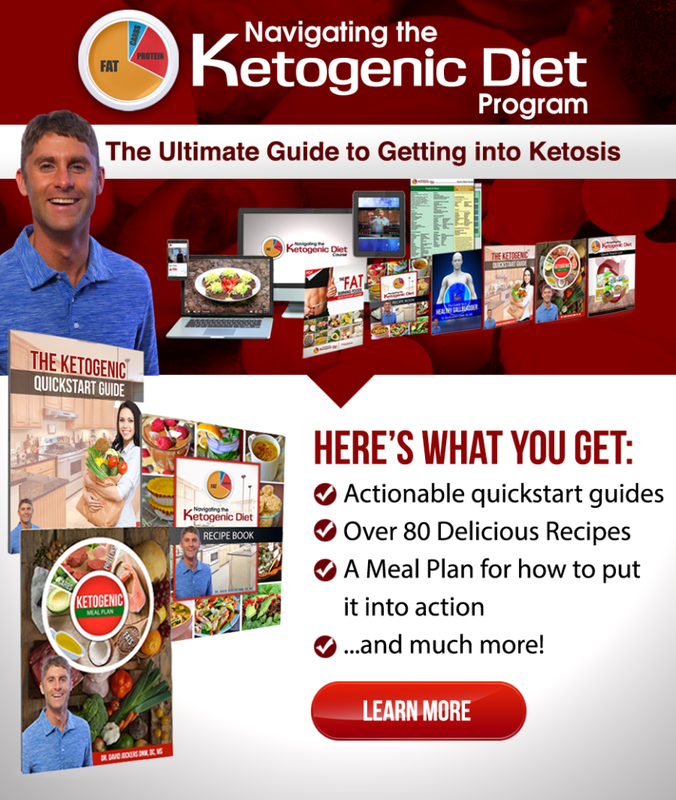 The ketogenic diet can improve blood sugar regulation and reduce glycation in the kidneys. Some of the worst offenders for causing inflammation are refined sugars and processed foods. Avoiding sugar is critical for kidney health. Consuming refined sugars, along with grains any foods that are easily metabolized into sugar (high glycemic foods), causes a surge of blood glucose and large release of insulin. Processed foods and vegetable oils, which often contain toxic GMO ingredients and trans-fats, are highly inflammatory and create extra acidity in the tissues. They also contain high amounts of sodium and phosphorus (usually in the form of an additive or preservative). It is commonly recommended that people with kidney disease restrict sodium, potassium, and phosphorus because their kidneys cannot filter out the excess. An anti-inflammatory diet includes whole, unprocessed foods. Clean sourced protein, organic, non-GMO vegetables and fruits, and healthy fats are the basis of an anti-inflammatory diet. Clean sources of protein are grass-fed meats, pasture-raised, organic chicken and eggs and wild-caught fish. People with low kidney function may need to limit the amount of protein in their diets (5). Additionally, the phosphorus in animal foods is more easily absorbed in our bodies. Healthy fats to include on an anti-inflammatory diet are those found in coconut, olives, avocados, and their oils and in grass-fed butter and ghee. Because of avocados’ high potassium content, you should limit or avoid avocados if you have kidney disease. Low-carbohydrate, colorful vegetables and small amounts of low-glycemic fruits are essential to an anti-inflammatory diet. Low-carbohydrate vegetables to include are cauliflower, cabbage, mushrooms, yellow squash, leeks, shallots, cucumbers, and asparagus. Berries, grapefruits, limes, lemons, and granny smith apples are all low-glycemic fruits. Vegetables and fruits are high in anti-inflammatory antioxidants and phytonutrients which are great for kidney health. You should also include plenty of kidney-healthy herbs which I will discuss below. Hydrating with clean, filtered water is important for healthy kidneys. 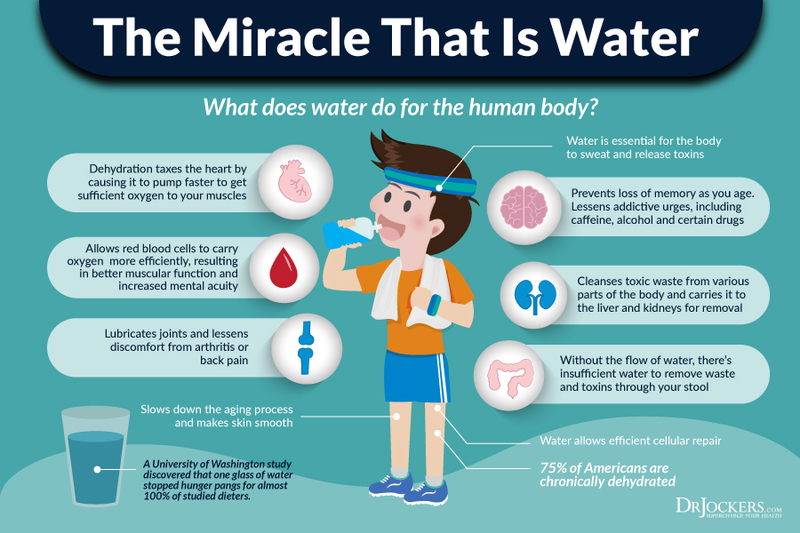 Water supports many of your body’s functions by improving oxygen delivery to cells, transporting nutrients, flushing toxins, and supporting natural healing processes. Drinking plenty of fluids helps the kidneys to clear sodium, urea and waste products from the body. For people with chronic kidney disease, increased hydration may slow the decline in kidney function and dehydration may accelerate the loss of kidney function (6). To be well hydrated, you should consume at least one half and up to your full body weight in ounces of water every day. For example, a 130-pound individual should consume a minimum of 65 ounces and up to 130 ounces of water per day. Foods that promote kidney health should be consumed as part of the anti-inflammatory nutrition plan. Some of the best foods for kidney health are cucumbers, celery, dandelion greens, beets, lemons, limes, and berries. Cucumbers have many beneficial properties for kidney health. They are naturally hydrating containing around 95% water. They help prevent excess uric acid, which can lead to kidney stones. Cucumbers are a good source of vitamin C, molybdenum, vitamin A, potassium, manganese, folate, fiber, magnesium and silica. Silica is an essential component of connective tissues. Beets are excellent for kidney health. Beets are root vegetables with blood cleansing and purifying properties. They are high in antioxidants and nutrients, including folate, pectin (a natural blood cleanser) iron, betaine, betalains, betacyanin, and betanin. Beets also stimulate bile flow which breaks down toxic wastes to help excrete them from the body faster. Good bile flow is critical for kidney health. Lemons and limes are natural cleansing foods. They contain citric acid, potassium, vitamin C, and bioflavonoids. These nutrients help improve energy levels, alkalize the body, enhance detoxification, and reduce inflammation. Berries, such as blueberries, are low glycemic fruits that are full of nutrients. Berries contain vitamins, minerals, and antioxidant phytonutrients (called anthocyanins), which give berries their distinctive colors. Along with many other health benefits, berries can protect the kidneys from damage. 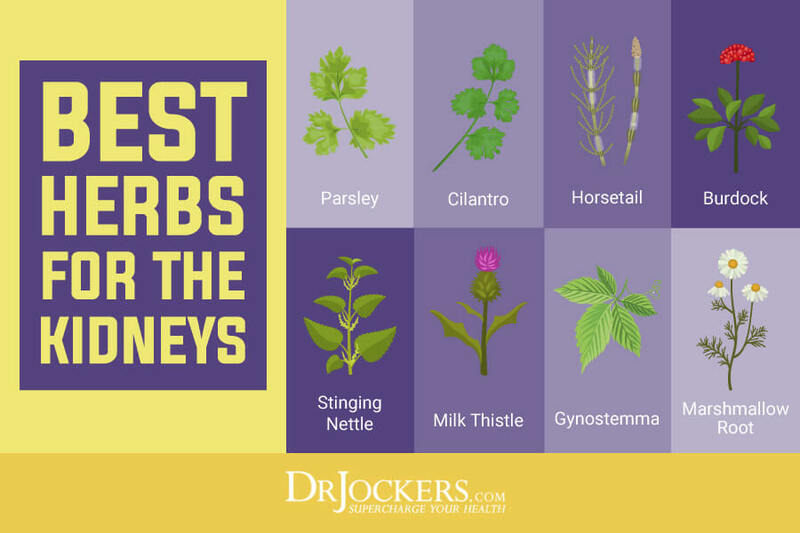 The best herbs for the kidneys are parsley, cilantro, horsetail, burdock, stinging nettle, milk thistle , Gynostemma, and marshmallow root. Burdock root and marshmallow root are natural diuretics that the body flush out excess fluid. This helps to cleanse the kidneys. Burdock root also helps to detoxify the blood and promote circulation. An excellent tea with burdock and nettles can be found here: herbal tea. Parsley is a powerful superfood with a unique combination of nutrients. It contains the volatile oil compounds myristicin, limonene, eugenol, and alpha-thujene which have been show to inhibit tumor formation and neutralize carcinogens. Parsley contains flavonoids including apiin, apigenin, crisoeriol, and luteolin. These flavonoids help prevent oxidative damage to cells. Research shows that apigenin has strong anti-cancer properties (7). Parsley is also an excellent source of vitamin C and a good source of vitamin A. Milk thistle contains a flavonoid complex called Silymarin which is important for protecting cells against free radical damage and inflammation. Silymarin concentrates in kidney cells where it helps repair and regenerate protein enzymes and DNA. It can also help protect the kidneys from dangerous drugs, including chemotherapy. Silymarin protects the cell membrane of the kidney cells which allows for healthy cell receptor activity. ThyroLiver Protect is an excellent high-dosage milk thistle (262.5 mg per serving) supplement. ThyroLiver also contains the glutathione-boosting agents N-Acetyl Cysteine and Alpha Lipoic Acid with L-selenomethionine. Oxalates, or oxalic acid, are naturally occurring compounds in plants, animals, and humans. Oxalates are anti-nutrients which bind to minerals (like calcium) and prevent your body from absorbing them. 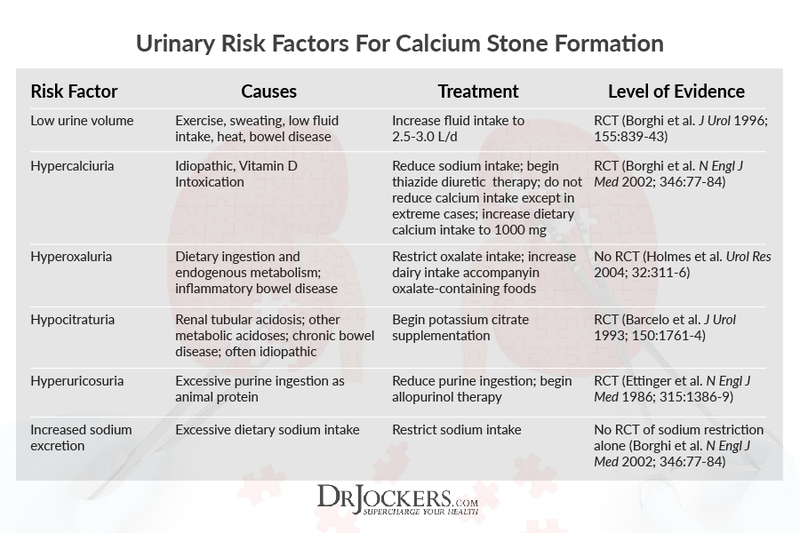 Kidney stones, most commonly calcium oxalate stones, are associated with excess oxalates. Excessive oxalates can also cause painful inflammation and joint deposits. To test your oxalate levels, I recommend the Great Plains Organic Acids Test. This simple urine test measures the level of oxalates in your urine and helps determine the cause of high oxalate levels. It is important to follow a low- oxalate diet if your oxalate levels are elevated, you have had calcium oxalate kidney stones, or have genetic susceptibility. Foods high in oxalates include chocolate, nuts, spinach, Swiss chard, berries, and potatoes. To reduce your oxalate levels, you can take one of these Mg-Potassium Citrate capsules with each meal to bind to the oxalates. Reflexology is a massage healing therapy practiced for centuries in China and Egypt. 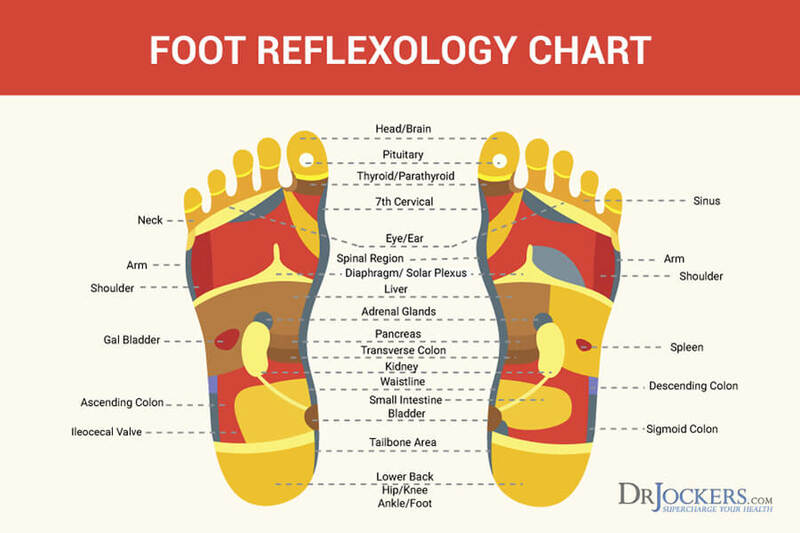 Reflexology is based on the theory that there are certain points on your feet, hands, and head which are linked to other parts of the body. 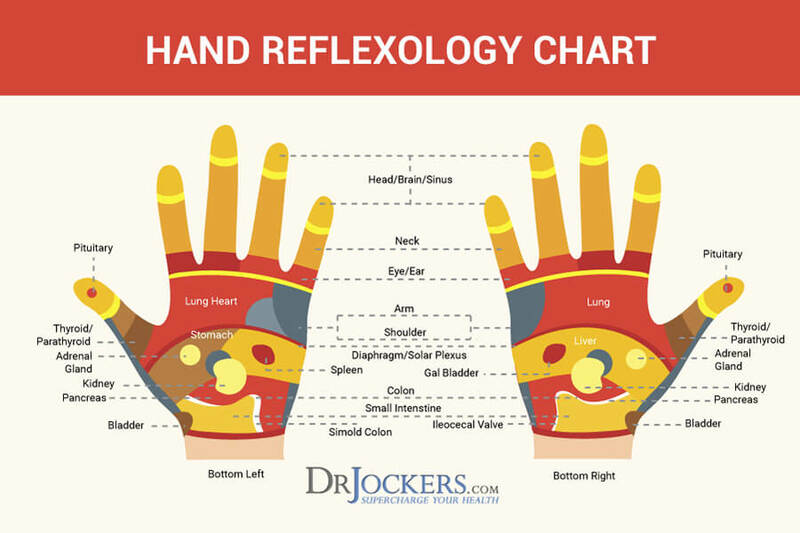 With reflexology, there are mirror images of our entire bodies laid out as a map on our feet and hands. The kidneys are named “Root of Life” and hold our life force energy according to practitioners of Traditional Chinese Medicine. For kidney health, you can gently massage the kidney pressure points on your palms and feet. 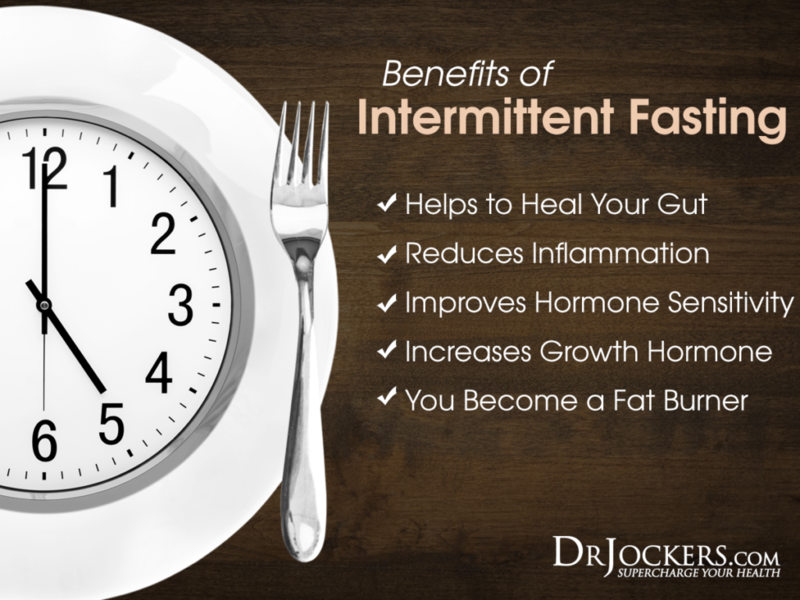 There are many health benefits associated with intermittent fasting. Using intermittent fasting strategies can boost the immune system, stimulate cellular autophagy, improve genetic repair mechanisms, improve insulin sensitivity, and reduce the risk of chronic diseases, including kidney disease (8). The kidneys, liver, and spleen work to remove and neutralize toxins that we encounter every day. Fasting eliminates input of additional toxins and helps the body open its drainage pathways. Start with a simple fast of 12 hours for 1-2 weeks and see how your body responds. This short fast is basically from dinner until breakfast the next day. You can increase your fasting time as your body adapts to not eating at certain times of the day. 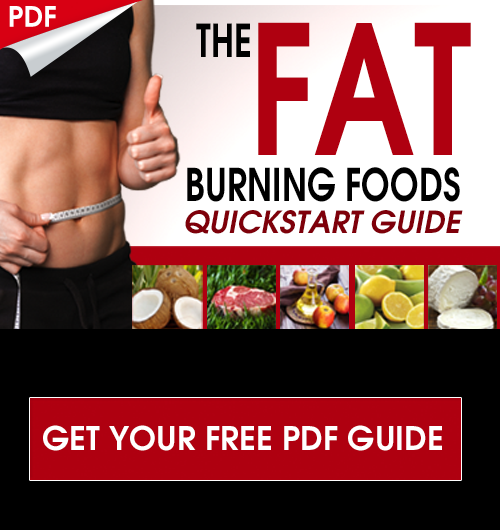 For the best intermittent fasting strategies and information on how to fast, check out this article. Glutathione is your body’s master antioxidant. It is a special peptide molecule that protects the body from oxidative stress and maintains other antioxidants in the body (9). Glutathione is a critical part of your detoxification system. It carries toxins into bile and stool and out of your body. Glutathione is naturally produced in your body. It is a combination of three amino acids, cysteine, glycine, and glutamine. As we age, our production of glutathione declines so it is important to support glutathione levels. The best food sources to support glutathione levels are sulfur-rich foods and high quality, non-denatured, animal products such as raw grass-fed dairy and organic eggs. Gut Healing Protein has several food and supplement factors to support glutathione levels. For people with kidney disease and other health issues arise from chronic inflammation, using supplemental glutathione can be powerful. The best form is acetylated glutathione which has been shown to survive the digestive tract and improve blood glutathione levels. Super Glutathione is an acetylated form of glutathione with stomach acid resistant capsules to protect stability. Drainage is the process of moving fluid through the body. The liver and kidneys are part of the drainage pathway. It is critical that this pathway be open for detoxification and proper drainage of fluids. Kidney & Liver Detox is a bioactive carbon product that supports kidney and liver function. This product contains N-Acetyl Cysteine (NAC), Milk Thistle, Parsley Gynostemma, Collinsonia Root, Beet Root, Marshmallow Root. This combination of nutrients supports drainage and immune function in the kidneys and liver. Kidney & Liver Detox can be helpful for kidney problems. The kidneys are one of the most hard-working organ systems in the body. The main role of the kidneys is to filter out and excrete waste products from the blood, maintaining fluid and electrolyte balance. Your kidneys can become damaged and not function optimally. 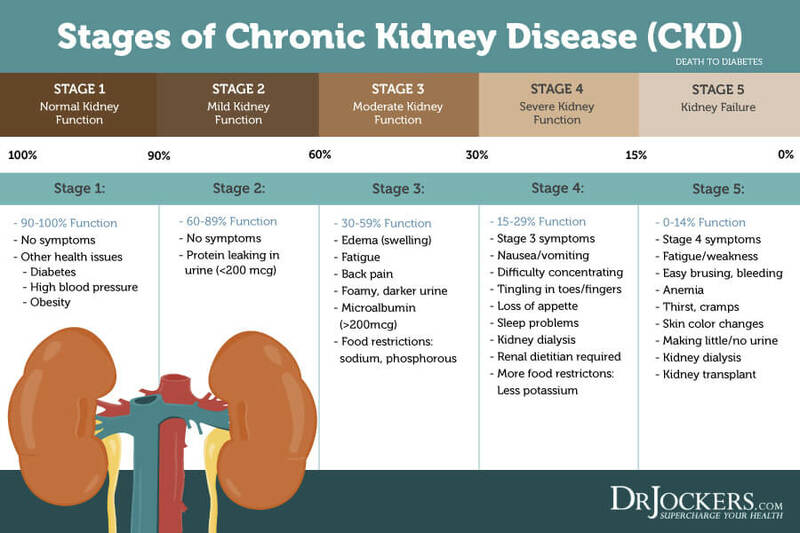 Chronic kidney disease is linked to other chronic disease processes, including obesity, diabetes and high blood pressure. There are numerous tests to help determine how your kidneys are functioning. These tests include BUN, creatinine, GFR, albumin, insulin, HgA1c, and urinalysis. Monitoring your levels of potassium, sodium, phosphorus, and chloride can also be helpful. There are natural remedies and foods for kidney health. 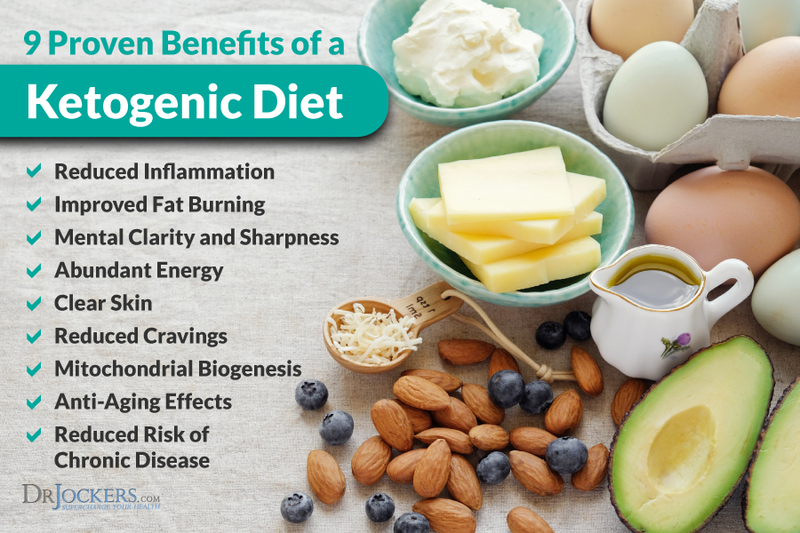 It is important to follow an anti-inflammatory, ketogenic diet avoiding refined sugars, processed foods, trans-fats, factory-farms meats and dairy, farm-raised fish, and GMO foods. Instead, eat organic foods including the foods and herbs that support the kidneys. Drinking optimal amounts water, practicing intermittent fasting, gently massaging kidney reflex centers, boosting glutathione levels, and detoxing the kidneys are effective strategies for kidney health. It is also important to test for and reduce your oxalate levels.